For many Americans, summer just wouldn’t be the same without a backyard barbecue. 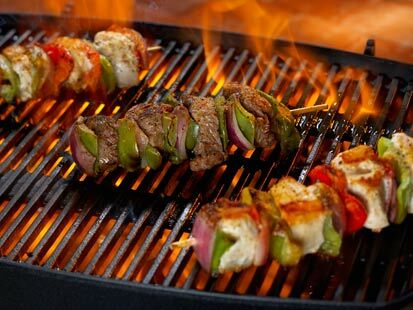 However, the blackened meats and smoky flavor that come with grilling could put your health at risk, experts caution. The good news, though, is that by planning ahead and making some smart choices, you can enjoy summer barbecues and reduce your exposure to cancer-causing chemicals. Choose meats wisely. Avoid grilling high-fat meats, like ribs and sausages. Instead, choose lean meats, which create less dripping and less smoke. Always trim excess fat and remove skin. 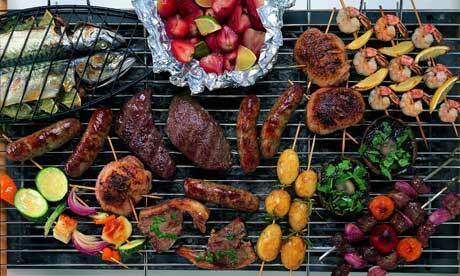 It’s also a good idea to choose smaller cuts of meat, such as kabobs, which require less cooking time. Try thin marinades. Thicker marinades tend to char, which could increase exposure to cancer-causing agents. Choose marinades made with vinegar or lemon, which will form a protective layer on the meat. Reduce grilling time. Always thaw meat before cooking. Meat and fish also should be partially cooked in the microwave before grilling. This will reduce cooking time and the risk for smoke flare-ups. Flip often. Flipping burgers once every minute will help prevent burning or charring. Consider food placement. Be sure to place food at least six inches away from a heat source. Create a barrier. Do not allow juices to spill and produce harmful smoke. Line the grill with aluminum foil or cook on cedar planks. Provided by the Valley Schools Employee Benefits Trust (VSEBT) from their July 2013 Monthly Wellstyles Newsletter, by Rebecca McGonigle. Researchers say that when you compare the Harvard Healthy Eating Plate with the USDA’s MyPlate, the shortcomings in the government’s guide are evident. The Healthy Eating Plate, a visual guide that provides a blueprint for eating a healthy meal, was unveiled today by nutrition experts atHarvard School of Public Health (HSPH) in conjunction with colleagues at Harvard Health Publications. Similar to the U.S. government’sMyPlate, the Healthy Eating Plate is simple and easy to understand — and it addresses important deficiencies in the MyPlate icon. Comparing the Harvard Healthy Eating Plate with the USDA’s MyPlate shows the shortcomings in the government’s guide. MyPlate does not tell consumers that whole grains are better for health than refined grains; its protein section offers no indication that some high-protein foods — fish, poultry, beans, nuts — are healthier than red meats and processed meats; it is silent on beneficial fats; it does not distinguish between potatoes and other vegetables; it recommends dairy at every meal, even though there is little evidence that high dairy intake protects against osteoporosis but substantial evidence that high intake can be harmful; and it says nothing about sugary drinks. Finally, the Healthy Eating Plate reminds people to stay active, an important factor in weight control, while MyPlate does not mention the importance of activity. The Healthy Eating Plate shows that a plant-based diet rich in vegetables, whole grains, healthy fats, and healthy proteins lowers the risk of weight gain and chronic disease. Helping Americans get the best possible nutrition advice is of critical importance as the U.S. and the world face a burgeoning obesity epidemic. Currently, two in three adults and one in three children are overweight or obese in the U.S.
“We want people to use this as a model for their own healthy plate or that of their children every time they sit down to a meal—either at home or at a restaurant,” said Eric Rimm, associate professor of epidemiology and nutrition at HSPH and a member of the 2010 U.S. Dietary Guidelines Advisory Committee. 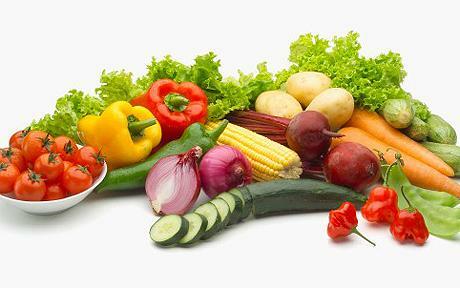 Vegetables: Eat an abundant variety, the more the better. Limited consumption of potatoes is recommended, however, as they are full of rapidly digested starch, which has the same roller-coaster effect on blood sugar as refined grains and sweets. In the short-term, these surges in blood sugar and insulin lead to hunger and overeating, and in the long term, to weight gain, type 2 diabetes, heart disease, and other chronic disorders. 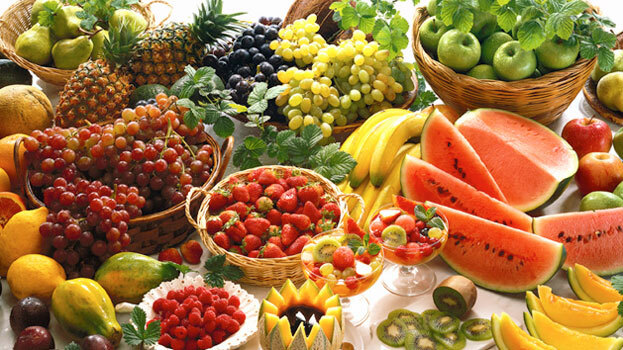 Fruits: Choose a rainbow of fruits every day. Whole grains: Choose whole grains, such as oatmeal, whole wheat bread, and brown rice. Refined grains, such as white bread and white rice, act like sugar in the body. Eating too many refined grains can raise the risk of heart disease and type 2 diabetes. Healthy proteins: Choose fish, poultry, beans, or nuts, which contain healthful nutrients. Limit red meat and avoid processed meats, because eating even small quantities of these on a regular basis raises the risk of heart disease, type 2 diabetes, colon cancer, and weight gain. Healthy oils: Use olive, canola, and other plant oils in cooking, on salads, and at the table, because these healthy fats reduce harmful cholesterol and are good for the heart. Limit butter and avoid trans fat. Water: Drink water, tea, or coffee (with little or no sugar). Limit milk and dairy (1-2 servings per day), and juice (1 small glass a day), and avoid sugary drinks. “One of the most important fields of medical science over the past 50 years is the research that shows just how powerfully our health is affected by what we eat. 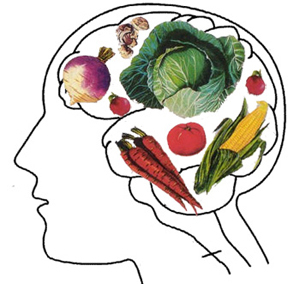 Knowing what foods to eat and in what proportions is crucial for health. The evidence-based Healthy Eating Plate shows this in a way that is very simple to understand,” said Anthony Komaroff, professor of medicine atHarvard Medical School and editor in chief of Harvard Health Publications. To download a pdf of the Healthy Eating Plate. Doctors are reporting a major step toward an “artificial pancreas,” a device that would constantly monitor blood sugar in people with diabetes and automatically supply insulin as needed. A key component of such a system — an insulin pump programmed to shut down if blood-sugar dips too low while people are sleeping — worked as intended in a three-month study of 247 patients. 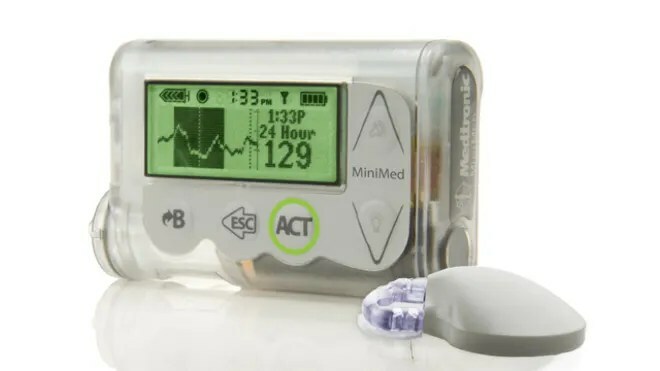 This “smart pump,” made by Minneapolis-based Medtronic Inc., is already sold in Europe, and the U.S. Food and Drug Administration is reviewing it now. Whether it also can be programmed to mimic a real pancreas and constantly adjust insulin based on continuous readings from a blood-sugar monitor requires more testing, but doctors say the new study suggests that’s a realistic goal. He led the company-sponsored study and gave results Saturday at an American Diabetes Association conference in Chicago. They also were published online by the New England Journal of Medicine. 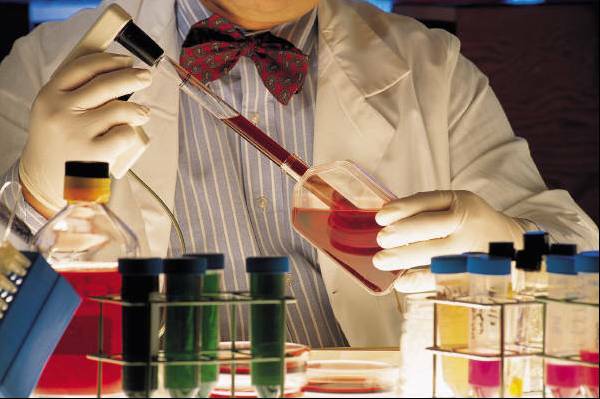 The study involved people with Type 1 diabetes, the kind usually diagnosed during childhood. About 5 percent of the 26 million Americans with diabetes have this type. Their bodies don’t make insulin, a hormone needed to turn food into energy. That causes high blood-sugar levels and raises the risk for heart disease and many other health problems. Some people with the more common Type 2 diabetes, the kind linked to obesity, also need insulin and might also benefit from a device like an artificial pancreas. For now, though, it’s aimed at people with Type 1 diabetes who must inject insulin several times a day or get it through a pump with a narrow tube that goes under the skin. The pump is about the size of a cellphone and can be worn on a belt or kept in a pocket. The pumps give a steady amount of insulin, and patients must monitor their sugar levels and give themselves more insulin at meals or whenever needed to keep blood sugar from getting too high. A big danger is having too much insulin in the body overnight, when blood-sugar levels naturally fall. People can go into comas, suffer seizures and even die. Parents of children with diabetes often worry so much about this that they sneak into their bedrooms at night to check their child’s blood-sugar monitor. In the study, all patients had sensors that continuously monitored their blood sugar. Half of them had ordinary insulin pumps and the others had pumps programmed to stop supplying insulin for two hours when blood-sugar fell to a certain threshold. Over three months, low-sugar episodes were reduced by about one-third in people using the pump with the shut-off feature. Importantly, these people had no cases of severely low blood sugar — the most dangerous kind that require medical aid or help from another person. There were four cases in the group using the standard pump. “As a first step, I think we should all be very excited that it works,” an independent expert, Dr. Irl Hirsch of the University of Washington in Seattle, said of the programmable pump. The next step is to test having it turn off sooner, before sugar falls so much, and to have it automatically supply insulin to prevent high blood sugar, too. Dr. Anne Peters, a diabetes specialist at the University of Southern California, said the study “represents a major step forward” for an artificial pancreas. One participant, Spears Mallis, 34, a manager for a cancer center in Gainesville, Ga., wishes these devices were available now. He typically gets low-sugar about 8 to 10 times a week, at least once a week while he’s asleep. “I would set an alarm in the middle of the night just to be sure I was OK. That will cause you to not get a good night of rest,” he said. His “smart pump” stopped giving insulin several times during the study when his sugar fell low, and he wasn’t always aware of it. That’s a well-known problem for people with Type 1 diabetes — over time, “you become less and less sensitive to feeling the low blood sugars” and don’t recognize symptoms in time to drink juice or do something else to raise sugar a bit, he said. Besides Medtronic, Johnson & Johnson and several other research groups are working on artificial pancreas devices. Researchers have found a critical element that may explain why some cancers spread farther and faster than others, a discovery that could lead to one of the Holy Grails of cancer treatment: containing the disease. Scientists from the University of California, San Diego School of Medicine have identified a protein that seems to serve as a switch, regulating the spread of cancer from the primary tumor to distant spots in the body – a process known as metastasis. The protein is used by embryo cells during early development, but then disappears from the body after an individual comes out of the womb. According to the researchers, the protein was only found in people with metastatic cancer, leading them to belive that the regulation of this protein could potentially stop the dangerous progression of this killer disease. Kipps said they stumbled upon this protein while conducting immunotherapy research on leukemia patients, in which they reengineered the patients’ leukemia cells and injected them into their bodies. This technique is meant to enhance the body’s natural immune response to cancer. The protein, called Receptor-tyrosine-kinase-like Orphan Receptor 1, or ROR1, is involved in a process known as epithelial mesenchymal transition (EMT), which occurs during early embryonic development. Throughout the EMT process, embryonic cells migrate and eventually grow into new organs. Kipps explained that ROR1’s role during embryonic development may explain how it helps cancers to grow and spread. In a series of lab experiments, Kipps and his team found that high-level expression of ROR1 in breast cancer cells were associated with higher rates of relapse and metastasis. However, when they used therapies to silence the expression of ROR1, the researchers were successfully able to inhibit metastatic spread of the cancer cells in animal models. After cardiovascular disease, cancer is the second leading cause of death in the United States, with 575,000 Americans dying from the disease each year. One of the scariest aspects of receiving a cancer diagnosis is learning how far the disease has spread throughout the body. An individual’s prognosis can vary greatly depending on the extent of the cancer’s progression; if it has spread too much, modern treatments can do little to stop it. This explains why the vast majority of cancer-related deaths – approximately 90 percent – are due to metastasis of the original tumor cells. Since ROR1 is only expressed in cancer cells, Kipps said it provides a singular target for future therapies aimed at containing and reversing metastasis. Then, once the cancer becomes more localized, traditional therapies such as radiation and surgery can help remove the original tumor from the body. 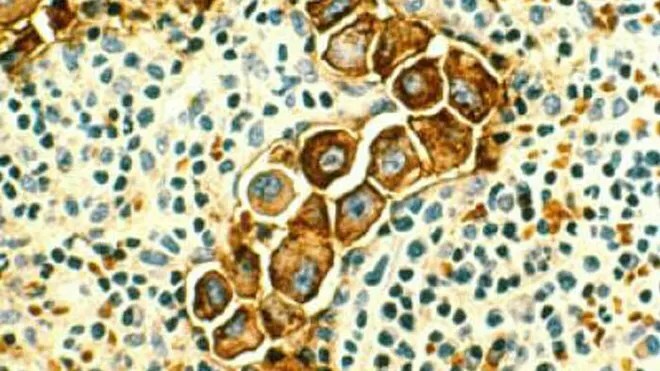 The research was published in the June 15 issue of the journal Cancer Research. The Arizona School Administrators (ASA) Association recently held a three day conference to bring Arizona education leaders up to speed on the latest issues and legislation. The Mission of Arizona School Administrators is to promote and support educational excellence in school leadership. The summer ASA conference dates were June 9, 10 and 11. It is an opportunity to discuss and share best practices and strategies to improve education. Our congratulations to organizations working together to improve our future leaders. Valley Schools was among the supporters of the ASA conference. They had a presence at an informative booth with preferred partner VSP in support of ASA’s Mission to promote and support educational excellence in school leadership and talk to participants about Valley Schools services and VSP’s diabetic eye health program. Valley Schools provides services to tens of thousands of staff and dependents in Arizona school districts. The services include workers’ compensation insurance, liability insurance, and health and other employee benefits. Valley Schools received an award from ASA Executive Director, Debra Duvall for their continued support as a 3 star sponsor. (pictured above.) It is good to see that the health and wellness of our students and their teachers and families is also considered for future educational planning. Without good health, good education is much harder to achieve. Vegetarians may live longer than meat-lovers, new research suggests. Scientists in California analyzed the diets of 73,300 Seventh Day Adventists, and found that vegetarians were less likely to die from any cause or from cause-specific reasons, except for cancer, compared to those who ate meat. “Certain vegetarian diets are associated with reductions in all causes of [death] as well as some specific causes including heart disease, kidney-related deaths and endocrine disease-related death such as diabetes,” said lead researcher Dr. Michael Orlich, a preventive medicine specialist at Loma Linda University in Loma Linda. The big question is why, and the study wasn’t designed to answer that, Orlich noted. “Reductions in meat in the vegetarian diet may be part of it, but it may be due to higher quantities of plant foods,” he added, although it is also possible that vegetarians may lead more healthy lives. For the study, the researchers used a food questionnaire to assess dietary patterns and looked at men and women who adhered to one of five diets: non-vegetarian; semi-vegetarian (eats meat or fish no more than once a week); pesco-vegetarian (consumes seafood); lacto-ovo-vegetarian (includes both dairy products and eggs), and vegans, who don’t eat any animal products. During the course of the more than five-year study, 2,570 people died. But vegetarians were about 12% less likely to die from any cause than their meat-eating counterparts, the study showed. And the survival edge seemed to be stronger in men than women. In addition, the researchers noted that vegetarians tended to be older and more educated, exercised more and were less likely to drink alcohol or smoke than their carnivorous counterparts. For a diehard vegan like Stephanie Prather, 45, the news may come as no surprise. Rather hasn’t eaten any animal products in more than two years, and actually changed careers midstream to become a vegan pastry chef. Her impetus was a high-profile documentary about the benefits of a plant-based diet. Not only does she feel better, Prather said, but she has lost close to 20 pounds since giving up all animal products in her diet. The latest research follows a British study released in January that showed vegetarians had about a third less risk of hospitalization or death from cardiovascular disease than meat-eaters did. The study, reported in the American Journal of Clinical Nutrition, included nearly 45,000 people from England and Scotland, about a third of whom were vegetarians. And the research showed that the vegetarians had a 32% lower chance of being hospitalized or dying from heart disease. They also typically had lower blood pressure and cholesterol levels than non-vegetarians. Provided by the Valley Schools Employee Benefits Trust (VSEBT) from their June 2013 Monthly Wellstyles Newsletter, by Rebecca McGonigle. Even though the scientists didn’t work with actual cancer cells, they explained that the process is likely comparable. They said that understanding this process could help them potentially find a way to target cancer cells before they spread — metastasize — to other parts of the body, which dramatically raises death risk for patients. Recently, researchers at the University of California, San Diego, also gained some ground in understanding cancer metastasis in research published in the journal Cancer Research. Fox News reported on the finding, which showed that there is a protein that helps to regulate the actual spread of cancer cells to other parts of the body.